It’s a catch-22: when you’re stressed it’s difficult to get a good night’s sleep, but a good night’s sleep will help lower your stress levels. Stress is a very basic response that allows us to adapt, respond and cope with environmental threats, social and economic demands. 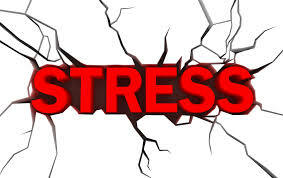 A certain amount of stress is necessary for normal, safe and efficient human functioning. But when a normal stress response becomes prolonged and uncontrollable, the stress response can break you down both mentally and physically. Choose how you react: When people lie awake in bed at night, their minds debrief the activities of the day. Over thinking a stressful event and getting worked up again can make your body hyper-aroused and make it difficult to relax into sleep. Make a list and check it off: Providing a sense of accomplishment at the end of the day will help your mind deviate away from the “I haven’t done anything today” feeling that stresses you out. Slow down on the caffeine: People who maintain stressful schedules tend to drink more caffeine to boost their productivity throughout the day. However, drinking caffeine too close to bedtime can hinder your ability to fall asleep, even if you are tired. Establish a regular, relaxing bedtime routine: Choose a time when you normally feel tired, so that you don’t toss and turn. Try a calming activity for an hour before bed such as reading a book, stargazing or taking a bath. Try not to break this routine on weekends when it may be tempting to stay up late. Monitor the quality of sleep with Sleeprate: When you know what’s interrupting your sleep, you can take steps to change it. Sleeprate evaluates sleep objectively based on the connection between your heart rate monitor fluctuations and its regulation. This also allows for continuous monitoring of stress during the night and its correlation to the quality of sleep you’re getting.